Jerry VerDorn was born in Sioux Falls, SD, but due to his father's job as a salesman, his family relocated often, settling in various parts of North Dakota, South Dakota and Minnesota. VerDorn attended Moorhead State University in Minnesota with intentions of becoming an English teacher. However, fate redirected him to the theater department and eventually to London, where he studied for a year at Studio 68, an acting academy founded by a group of British actors, including Sean Connery. After graduation, verDorn was cast in a play called Black Elk Speaks. While performing in Washington, D.C., he was spotted by a manager who tried to talk him into moving to New York. The actor married his college sweetheart, Beth, on June 4, 1977, and the two made the move together. Later in 1977, verDorn was invited to appear at Rutgers University in a production of Eric Bentley's play Are You Now or Have You Ever Been? After 11 weeks, the play moved, first to the off-Broadway Promenade Theater, and then to Broadway. At the same time, verDorn understudied George Grizzard in the lead role of George Bernard Shaw's Man and Superman at Circle in the Square and played matinee performances for three months. In 1979, GUIDING LIGHT casting directors discovered the actor and got him to join the show as Ross. After 26 years as Ross and winning two Outstanding Supporting actor Emmys, GL bumped the actor to recurring status in the summer of 2005. Within a few days of being taken off-contract, verDorn was hired to play Clint on ONE LIFE TO LIVE. The verDorns live in Northern New Jersey, a short drive from New York City and about a four-hour drive from their two sons, Jake and Peter, who both attend Ithaca College in upstate New York. His official Web site is www.jerryverdorn.com. In 1993, verDorn was diagnosed with prostate cancer. Clean living and regular medical examinations enable him to report that he is healthy today. VerDorn is an avid bicyclist, clocking in more than 2,000 miles a year. The actor's friendship with Mark Derwin (ex-Ben, OLTL; ex-Mallet, GL) helped open the door for him to audition for the part of Clint. He is nicknamed "Jerr the Bear" by Jane Elliot (Tracy, GENERAL HOSPITAL; ex-Carrie, GL). OLTL Finale Airing On OWN! Tune into OWN today at 1:30 p.m. EST to catch the two-part season one finale of ONE LIFE TO LIVE. We asked the stars: Have you finished your holiday shopping? Here's what they said. We recently caught up with ONE LIFE TO LIVE star Jerry verDorn, whose storyline as Clint is heating up. Soap Opera Weekly caught up with ONE LIFE TO LIVE's Jerry verDorn at the Oct. 11 Daytime Stars and Strikes charity event for the American Cancer Society. Jerry verDorn (Clint, OLTL) was so happy to talk to us about his arrival in Llanview that we couldn't fit it all into the 1/17 issue of Digest. Here is some of what you won't didn't read in the magazine. 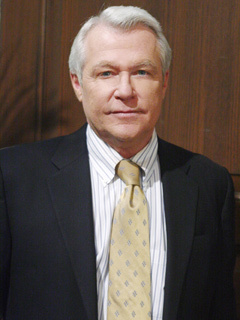 On Tuesday, October 11, Jerry verDorn had his last scenes as Ross on GL before heading to OLTL to portray Clint. In lieu of actual on-screen closure for Ross, verDorn addressed his fans at the October 16 GL Fan Club Luncheon. Tidings Of Comfort And Oy! Christmas is a time for sipping eggnog and unwrapping gifts. In the soap world, however, the holiday tends to pack a dramatic punch. Here's a look at some of GUIDING LIGHT's most memorable yuletides. Springfield has been home to countless weddings throughout the years, from fairy-tale ceremonies to simple at-home gatherings. Take a look at some of GUIDING LIGHT's memorable nuptials in the 1970s and '80s.